Yesterday, all the Year 3s and Year 4s got on a bus to go to the Stardom. Everyone was shouting and they were playing hand games and even looking outside. On the bus we saw mountains, trees and flowers. We were all happy because we were going to the stardom. At the Stardom, we learned some really cool things about our solar system. We did a Quiz and it was cool and when we finished all that stardom At the Stardom, we learned some really cool things about our solar system. We did a Quiz and it was cool and when we finished all that stuff there was a movie. There was the largest screen I've ever seen and we watching a movie on it about our solar system.When we weren’t in the Stardom, we were having fun outside.Then we saw butterflies there was a big flying fox that went up and then it went down and there was a lump and when we saw the lump we went flying in the air and someone got hurt.but we kept on playing on it and there was two playgrounds.I really liked the totto train and we played on the big swing it was my Favorited After all this, we headed back to Point England School.Then it was lunch time so we ate and then the bell rang and we just played on maths whizz.And that was the best day and then we had to go back home and that was the best day of my life. 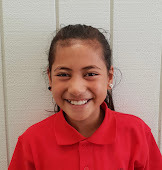 Hi Atawhai m name is jade your friend from christ church the trip looked really fun. all i wanted to say was when you did your writing you were very positive and the way you said it it sunded very fun i just wished i was there.anyways i really miss you guys and i really wish i cold blog about christ church here but i do not know ho to make my own blog post anyways bye from Jade.